As US President Donald Trump gives his State of the Union address Tuesday — sure to include calls to build his long-sought border wall — here are a few fast facts on the migrant caravans crossing Mexico. 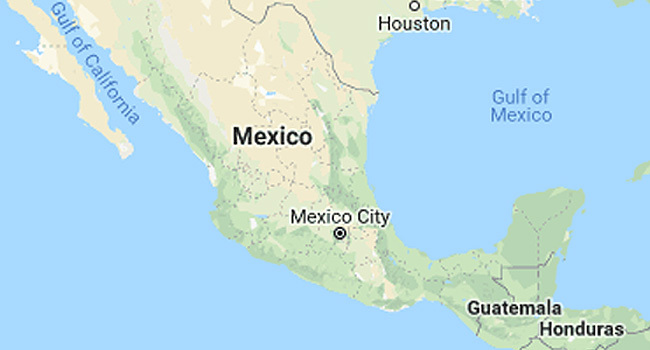 There are currently two main groups of Central American migrants crossing Mexico in caravans: one at the US-Mexican border and one in the south. They comprise around 5,500 migrants in all — 1,700 at the northern border and 3,800 in the south, according to Mexican authorities and migrant rights activists. Most of the northern caravan arrived Tuesday in the city of Piedras Negras, Coahuila, across the border from Eagle Pass, Texas. The southern caravan is in the state of Chiapas, which borders Guatemala. Its members still have some 2,000 kilometers (1,240 miles) to go to reach the US border, depending on what route they take. Both caravans started in Honduras and picked up groups of migrants from Guatemala, El Salvador and Nicaragua along the way. They arrived in Mexico on January 15, considerably larger than they are now. Around 2,500 members of the original groups accepted an offer from the Mexican government of humanitarian visas that allow them to live and work in Mexico for a year. The remaining migrants have mostly been walking and hitchhiking, though local authorities and charitable groups have provided buses on occasion, enabling them to pick up their pace dramatically. Several thousand Central Americans have trekked across Mexico by caravan since last year, fleeing poverty and violence in their home countries and travelling together for protection against Mexican gangs that prey on migrants. The first caravan to catch Trump’s attention began in March last year, the “Migrant Way of the Cross,” which swelled to around 1,000 people at its height. Activists have in fact organized such caravans every year around Easter for a decade to draw attention to the plight of migrants. Little did they realize how much attention they would get this time: Trump attacked the group regularly on Twitter and announced he was deploying thousands of troops to the border to stop it. That caravan has been followed by others. The largest, which started in October, grew to around 7,000 people at its height and travelled to the border city of Tijuana, across from San Diego, California. Trump likewise called that caravan an “invasion” by “criminals” and “thugs,” and deployed thousands of troops to the border. US Border Patrol agents fought back two attempts to rush the border by hundreds of migrants from that caravan, firing tear gas and rubber bullets to disperse them. Some have since found work in Mexico, some crossed the border and filed asylum claims, and many returned home. Less than 600 now remain in Tijuana, according to activists.